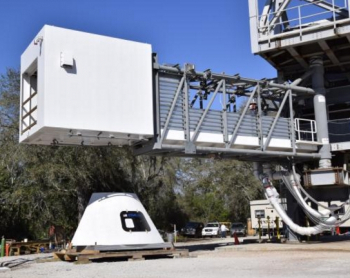 Boeing has completed a major milestone in their drive to help NASA regain domestic access to space with the mating of two critical portions of their CST-100 Starliner Structural Test Article to complete the first hull of the commercial vehicle. Meanwhile, Boeing has informed investors that the first crewed launch of Starliner will be delayed at least a full year to 2018 due to development issues. Inside former Space Shuttle Orbiter Processing Facility bay 3 at the Kennedy Space Center, now leased by Boeing and known as the Commercial Crew and Cargo Processing Facility (CCCPF), the first CST-100 Starliner hull has been mated together following the combination of the upper and lower domes of the Structural Test Article (STA) on May 2. Completion of the Starliner STA marks the first time a spacecraft has been built inside the former Space Shuttle processing hanger and a milestone not just for Boeing and Starliner but for NASA, too, as the agency looks to continue its transition efforts of the Kennedy Space Center into a multi-user spaceport. While identical to what the operational Starliners are expected to be, the STA being built inside CCCPF will not actually fly in space but will instead be used to prove the manufacturing methods and overall ability of the spacecraft to handle the demands of the vehicle that is designed to ferry astronauts to the International Space Station (ISS). Once completed, this Starliner STA will be transported from Kennedy to Boeing’s Huntington Beach, California, test facility where it will undergo loads and separation testing that will help inform Boeing of any changes needed to the Starliner design that will actually fly. 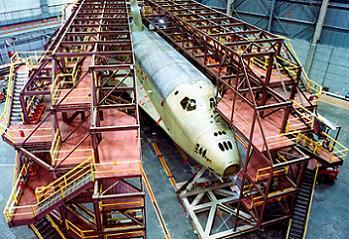 STAs are no stranger to spaceflight, with the most famous spaceflight STA being the Space Shuttle orbiter Challenger. Beginning life as STA-099, the basic airframe and body making of Challenger was first used to verify the Shuttle Orbiter design during the various stressful aspects of flight. 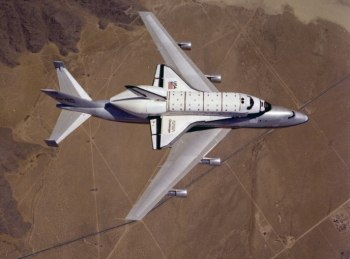 STA-099 showed that the initial Shuttle configuration of OV-101 Enterprise needed several modifications for the actual flight Orbiters – modifications that were included in the design of the OV-102 Columbia. After completing work as STA-099, NASA determined that it should be converted into a flight-worthy Orbiter – something that was not initially intended. STA-099 was then rechristened OV-099, and the Shuttle Challenger entered service in 1983. 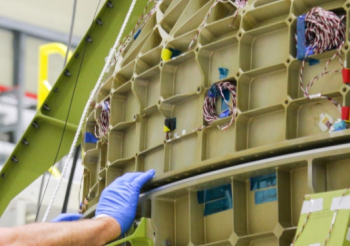 For Starliner, the building techniques employed by Boeing are significantly different from those of past programs and reflect a desire to ease manufacturing wherever possible. 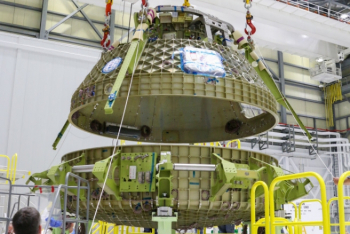 One of the primary ways Boeing has rethought the spacecraft manufacturing process relates to the electrical and data cables of the spacecraft. 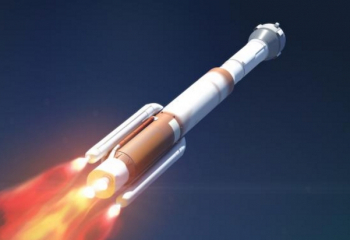 According to Boeing, the traditional method of spacecraft manufacturing, where the pressure vessel is built by itself and then outfitted with electrical and data cables, plumbing and other fittings, has been discarded. Instead, for Starliner, those elements are built into the top and bottom halves of the spacecraft so that when the two halves are joined, the cables and lines and pipes are already in place, saving engineers the time of having to route those elements through small hatches and assemble parts together inside the closed hull. As the Starliner STA has undergone processing at the Kennedy Space Center, work has also been steady at the Atlas V launch pad at SLC-41 at the Cape Canaveral Air Force Station nearby. The most visible change to the Atlas V pad has been the construction of the crew access tower. With the primary gantry now in place, a great deal of work is taking place at the tower, with crews outfitting elevators, electrical and data cabling, needed crew and worker facilities, and various other elements of the environmental control system that will be needed in the white room of the crew access arm once that is installed later this year. Construction of the basic components of the crew access arm and associated environmental control and umbilical lines is also proceeding to schedule at an off-site construction facility near SLC-41. This off-site construction facility allows Boeing to assemble the various elements of the crew access tower and the crew access arm on their own schedule while not interrupting United Launch Alliance’s (ULA’s) steady launch rate for the Atlas V.
Per the initial funding timelines, and what had been holding true throughout the first part of 2016, it is now understood that Starliner’s first crewed launch will not take place in 2017 as planned. That mission, which would have seen Starliner, affixed to the top of an Atlas V 422 variant rocket, launch from the Cape Canaveral Air Force Station is now penciled in for some time in 2018. Boeing made the announcement of the delay to its investors during a conference call this week. The specific reasons for the delay were not revealed, although it had been understood there are issues being worked that may have contributed to the realigned schedule. Boeing is continuing to work through their Commercial Crew Program (CCP) obligations, which also allows for NASA reviews on their progress. NASA use a traditionally conservative process when reviewing human space flight requirements, which in turn may require the provider to make improvements on specific elements such as the ascent profile of the Starliner in relation to how it performs while riding with the Atlas V carrier. When asked about such issues, Boeing provided NASASpaceFlight.com with a standard – albeit non-specific – response. Per NASA sources, any issues the Starliner team may be working through are not classed as serious, with no technical “red risks” noted as of earlier this year.